Right now its possible to book Million Stylez live on Jah Sound. For booking info contact us. Kenshin Iryo more known as Million Stylez was born june first 1981 in Stockholm, Sweden. He grew up in a working class part of town called Sollentuna. He was raised by a french mother and a japanese father but had friends from all over the world due to the very immigrant-dense neighborhood. He started experimenting with Hip Hop at the young age of nine, recording rap tunes in swedish on his cassette deck player. After a couple of years he started to write lyrics in english but it was not until he turned 18 that he moved on to dancehall and reggae. It was only a natural step for him due to the fact that reggae always been there as he was growing up. He is one out of few out there that can master so many different styles such as singing, deejaying and rapping. He was self-taught and never had any schooling but he still doesn’t see any musical boundaries. In the summer of 2005 he went to the “Big Break” finals arranged by Irie FM (Jamaicas nr 1 radiostation). It is an annual talent competition for upcoming artists in Jamaica with more than 1200 talented applicants. After live performances in St. Elizabeth, Montego Bay and Kingston, TV and radio-interviews he ended up in a honoreble fourth place. He was also the first non-jamaican that ever had participated in the competition. 2006 march first, saw the release of his breakthrough smash hit “Miss Fatty”. It was distributed by german Soundquake and was their number one selling song for weeks. It was also recieved very well by radio stations like Hot97, Shade 45, BBC1Xtra, Kiss FM, NRJ, Voice, P3 etc. It has also been the number one track/video on Trace TV/radio that covers over 50 countries around the world. Dj’s of all genres from all around the world start playing it in the clubs and they still do frequently up to this day. It was the biggest dancehall song worldwide for 2006 and you can actually say that its a timeless classic today. The video was shot in Cuba and has become a youtube phenomenon with over seventeen million views so far and counting. Million Stylez released his debut album “From A Far” 2007 with KBC music and it included everything from roots, dancehall and Hip Hop to even a more soulful sound. Just to mention a couple of songs that made this launcher was of course “Miss Fatty”, “Brighter Day”, “Give me the strength” and “Fade away” that also became number one on the german reggae-charts 2006. It wasn’t until three years after in may 2010 that he released his second album entitled “Everyday” and this time through his own label Adonai Music. This musical masterpiece feature hits like “Everyday, “Love we deal with” and the cross-over smash hit “Supastar”. This time around he decided to have a couple of guest appearances, but not just any artists. He linked up with none other than Gentleman and recorded a song called “Help Is On The Way”. He says that it was an hounor for him to do “World crisis” with the living legend Don Carlos for this album. From the old to the new, “As mi forward” is a massive street anthem alongside the dancehall superstar Busy Signal. “Everyday” is more of a compilation of the latest and greatest songs he recorded at the time. He says that there is no thought behind his music making, just feeling and emotions. Overall its a more mature and evolved album than his first one. His recently released his first EP “Songs about you” worldwide through the french independent label Special Delivery. This smooth compilation consists of strictly love songs about different relationships he had in the past. He says that these are all true stories otherwise he could never record them with the same authentic feeling. He always want to show versitile he is so you will here everything from smooth lovers rock to dancehall and a more cross over hip hop vibe. Just to mention a couple of artists that he has worked with over the years there are big stars like Beyoncé, Gentleman, Peetah Morgan (Morgan Heritage), Don Carlos, Loon (Bad Boy), Smif N Wessun, Mr Vegas, Busy Signal, Bunji Garlin and the list goes on and on. In the beginning of his career he also got to be opening act for Sean Paul, Beenie Man, Elephant Man, Ne-Yo, Fabolous, Ryan Leslie among others. Million Stylez has now been performing in every continent of the world indipendently and the touring continues frequently. He is constantly working on new material and his third album is planned to come out late 2014. What more is there to say? Million has a million things going on. 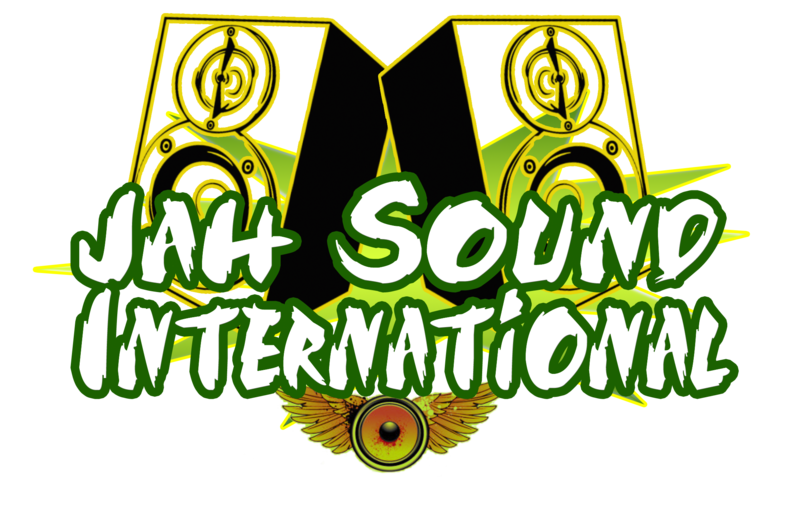 Jah Sound will be performing on Several festivals this summer. check out the website later on for more info. Jah Sound International will be performing with JO MERSA MARLEY on the 31-03-2019 at club Het Bolwerk, Sneek, The Netherlands. As the eldest son of Stephen Marley and grandson of Bob Marley, Joseph “Jo Mersa” Marley grew up surrounded by music. By the time he was four years old, Jo was appearing onstage alongside his father, his uncle Ziggy and aunts Cedella and Sharon (a.k.a. Ziggy Marley and The Melody Makers) and their children as part of the group’s rousing concert finales with Jo often taking the mic and chanting the lyrics to the Melody Makers’ biggest songs, much to the delight of their audiences. Born in Kingston, Jamaica on March 12, 1991, Jo moved to Miami at age 11 where he keenly observed his father and his uncle Damian as they created music in Stephen’s Lion’s Den studio. Back then school was the priority for Jo; traveling with Ziggy and the Melody Makers was reserved for school breaks and summer vacations, yet those experiences provided first hand opportunities for Jo to expand his musical aspirations beyond the performance stage. The seriousness of Jo’s words is affirmed by the five tracks featured on his debut EP “Comfortable” due in Spring 2014 on the Marley family’s imprint Ghetto Youths International (GYI). Spanning pop, hip hop, EDM and dancehall influences, the “Comfortable” EP showcases deft lyrical skills, ranging from Jo’s speed deejaying recounting of experiences with insincere women on “Bogus” (gimme the real woman who nah bogus through the last name they run down Joseph) produced by his uncle Damian Marley, to his cleverly-rhymed detailing of a budding relationship contrasted by his sweetly sung hook on the title track. Originally released in February 2013 on the GYI compilation “Set Up Shop Volume 1”, which topped the Billboard Reggae Album chart, the sleek electro-dancehall hybrid “Comfortable” and its accompanying video generated a strong response among music fans so it was chosen as the title track for Jo’s EP. Comfortable is also an apt description of Jo’s approach to music making. “We talked about it as a team, me, my father and my uncle Damian and “Comfortable” was just the most fitting name; the word works on many levels: I am just getting comfortable enough to give you a peace of my mind, comfortable enough so that I can open up and share my views, my thoughts and my heart,” Jo explained. Like his father and grandfather, Joseph Marley is an avid football (soccer) player; he received his nickname Jo Mersa from famed Jamaican footballer Alan “Skill” Cole, a close friend of his grandfather. Joseph’s competitive football playing technique suggested to Skill the determination of a boxer in a ring so he started calling him Joe Mercer, referring to the UK boxer, and the nickname stuck. This year we are 30 years in the International scene. We wanna say thank you and respect to all the Sound Systems – Artists and (festival) Promotors in Europe, Jamaica and UK who have been backing us over the years. Respect to all !! !